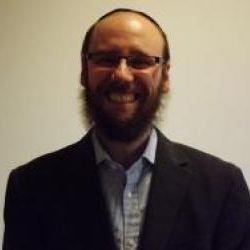 Raised and educated in London, Rabbi Levin studied in Chabad Yeshivot in America, Australia and Belgium where he gained his Semicha. Since arriving at Brondesbury Park Synagogue in 2004 after a seven year stint as Associate Rabbi at South Hampstead Synagogue, the community has undergone a resurgence and is now one of London's fastest growing communities. Rabbi Levin is married to Kezi, a graphic designer and they have six boisterous boys who form part of the Brondesbury Rabbinic team.